Crestline Windows is a American distributor of window assemblies for home and office applications. The company has units available in various materials, designs and custom sizes. Like all windows, Crestline windows require sealing around the frame to ensure proper insulation. 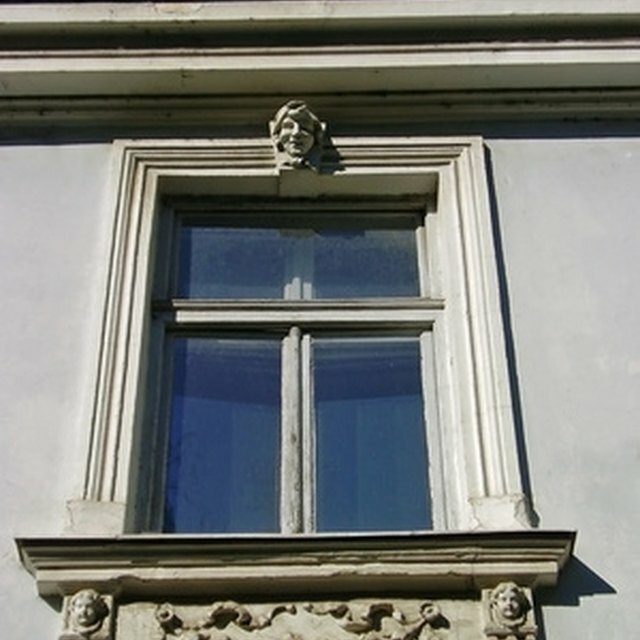 As it becomes damaged or worn over time, it may need replacement to restore proper functionality to the window. Repairing a Crestline window seal will prevent leaks, drafts and outdoor contaminants from entering a room. Repair the seal on a Crestline window to ensure proper insulation. Locate the damaged section of the seal around the Crestline window frame. Cut this fragment of the sealant on either side using a utility knife. Pry the seal from the seams with a putty knife for leverage. Allow the seal to come loose and peel off the remainder with needle nose pliers if necessary. Wipe the exposed seam with a damp cloth to clear out any visible dirt or residue; the Crestline frame can't be properly insulated if there are contaminants trapped beneath the replacement seal. Snip the nozzle on a tube of silicone caulk and leave an opening 1/4 inch wide or less to dispense the sealant. Puncture the foil seal with a stiff wire or paperclip, then load the tube into a caulking gun. Draw the tip of the gun along the bare joint in the window frame where the old sealant was removed. Apply consistent pressure on the trigger as you apply an even bead of the silicone sealant. Glide the back of a plastic spoon or craft stick over the new seal for a neater application, then let it cure over a full 24-hour period. What Happens When the Seal Breaks in Thermal Windows?